At Wells Endodontics, we are a family practice that treats our patients like family. We acknowledge that the most important person in our office is the patient. We understand that patients often need to be seen on an emergency basis, and therefore we strive to be immediately accessible. Our dedicated and experienced staff works together to provide the highest quality endodontic care available. Wells Endodontics invests in training, supervision and events designed to bring together our support staff, dental assistants and administrative staff. Your comfort throughout all phases of treatment is our top priority. 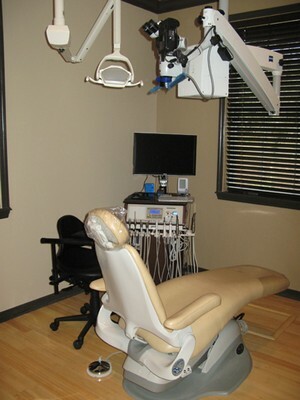 So that we may accommodate all patients, we offer non-latex options. Our practice exceeds the highest standards of infecton control advocated by the American Dental Association, the CDC and OSHA. We utilize the latest barrier techniques and autoclave sterilization to eliminate any risk of cross-contamination. Our office provides you with the finest and most state-of-the-art treatment available. We believe that people should have their own healthy teeth for their lifetime. However, not all teeth are savable and root canals are not always indicated. Therefore, you have the right to be educated in order to fully understand your treatment needs before any procedure begins. We welcome any and all questions. To better serve our diverse community, we are a bi-lingual office. Wells Endodontics is among the first to add a 3D extraoral imaging system to its office, revolutionizing patient treatment and perfecting the way the practice treats oral infections. 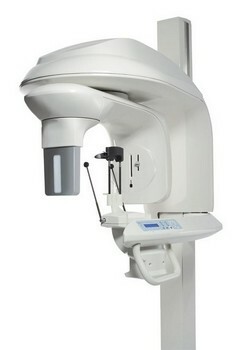 The Cone Beam CT 3D Extraoral Imaging System enables dental professionals to obtain low radiation dose, high-resolution, three-dimensional (3D) images, as well as panoramic images. With the addition of this state-of-the-art 3D unit, Wells Endodontics will bring its level of patient care to an even higher level. Three-dimensional technology allows doctors to better visualize their patients’ dentition, without having to send patients for radiology scans. Viewing an unprecedented level of anatomical detail helps practitioners diagnose more accurately and treat with confidence. The CS 9000 3D System will transform dental imaging in the same way that CT scans have changed the medical field, in terms of care through better visualization. This unique “two-in-one” system (3D and panoramic) is well suited for dental professionals who regularly perform complex diagnostic, restorative, surgical, and endodontic procedures. The highest resolution imaging capabilities provided by this unit will enable Dr. Wells to detect lesions with more accuracy. This breakthrough technology provides unprecedented x-ray views of the oral cavity. The Cone Beam CT 3D Imaging System uses less radiation than other systems, radiating only one small area of view at a time. Comfortable patient positioning and wheelchair accessibility make this unit patient-friendly. The system enables Dr. Wells to perform a wider range of diagnoses and treatments in the office, helping reduce multiple visits, saving patients’ time and making the treatment more affordable. Having been selected as the first practice in the Eastern United States to utilize the GentleWave® Multisonic Ultraclean™ System, Wells Endodontics is now the ONLY place in Florida where you can be assured of this superior level of root canal cleaning and disinfection. Dr. Wells has been following the studies related to the GentleWave® system in scientific journals for several years. He is impressed with the technology and with the well-documented outcomes it provides. Multisonic Ultracleaning™ technology leaves virtually no portion of canal space untouched and disinfects at a level conventional methods simply cannot. Dr. Wells believes this new technology, the product of over ten years of intensive research and development, represents an entirely new way of thinking about root canal therapy. More importantly, though, he knows it will enable him to improve upon even the exceptionally high quality of patient care already established as the cornerstone of his successful endodontic practice in Wesley Chapel. 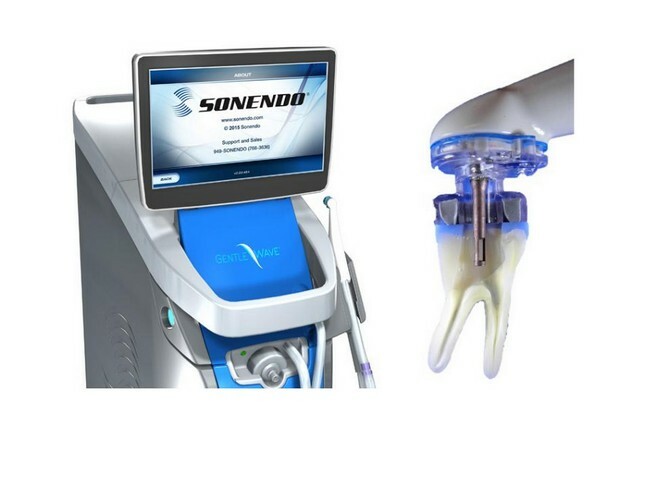 We are extremely excited to be part of this significant advancement in endodontic treatment and to be the exclusive provider of the improved quality of care made possible with the GentleWave® Multisonic Ultraclean™ System.